We have an ethos of accessibility for all, our accommodation building Woodlands is designed from the ground up to cater for groups which include those with additional needs. It is all on ground level and contains facilities such as hoists and an accessible shower room. We have an accessibility guide for Woodlands on the Visit England & Scotland Accessibility Guides website. The Lodge also has accessible facilities including a wet room and is ground level throughout making both buildings suitable for wheelchair users and those with mobility difficulties. We also have a variety of activities that are suitable for all abilities. 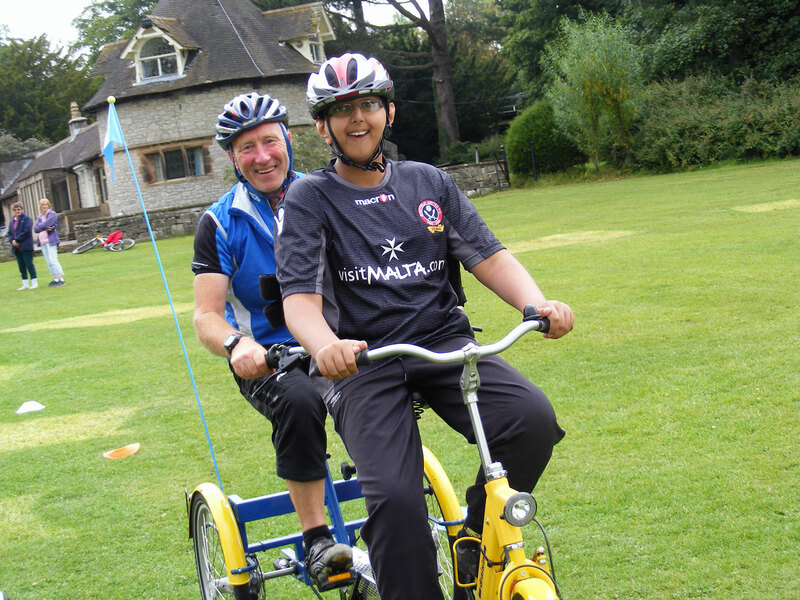 We have a variety of bikes, trikes and karts in range of sizes including a tandem bike as seen in the picture. There is an introductory 850m bike and trike trail on site as well as the traffic free Monsal Trail on our doorstep; a perfect way to learn how to ride a bike whilst soaking up the scenery of the beautiful White Peak. We have a variety of high rope activities on site, some of which are accessible by hoist and we can also provide specialist harnesses. Our Sky Ropes has been adapted to allow those with additional needs to have a go. High ropes and cycling days for hearing impaired students. Part week and full week residentials for students with communication difficulties. High ropes part days for students with behavioral difficulties. Please feel free to contact us to discuss any specific needs, we are happy to help.